For a charitable organization such as World Vision Canada, forging a lasting connection with a donor is as critical as attracting a donor in the first place. That’s why the decision by the country’s largest child sponsorship agency to revamp its first official touchpoint with donors – its direct mail “welcome pack” onboarding package – was the focus of an intense collaboration between the group and its expert partners. 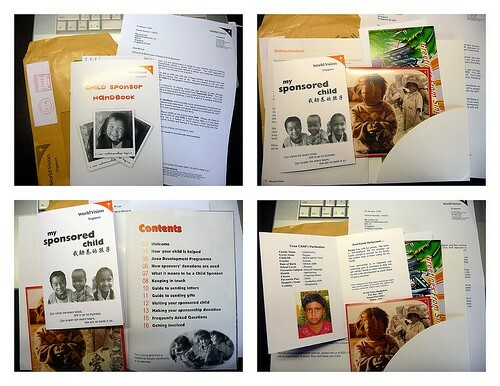 Rather than simply brief its agency partners about its expectations for the new welcome pack, which would be personalized to each individual donor, World Vision was determined to be engaged at every step of the creative process. The new approach avoided situations where the charity and its partners “dream up and fall in love with an idea – that we were going to have variable print on demand – and then find out that it’s either way too expensive to do or technically is impossible,” says Carroll. World Vision has charted the success of its new Welcome Series with continuous donor measurement statistics that show donor engagement and satisfaction are higher than they have been in decades. Specifically, the direct mail campaign raised donor satisfaction by more than 15% and raised first-time donor understanding of the sponsorship experience. Although the organization had spent a great deal of time and effort putting donor-aimed information on its website, they noticed their supporters responded better to hard copy. “They still liked to leaf through the information, to actually have something in their hand,” explains Carroll. At World Vision, it’s described as the power of the stamp. Data is key to driving engagement and measuring success for the charity. That includes fine-tuning and utilizing donor information to maximize the impact of its appeals. “The only way we can drive engagement is to be more customized and to be more personal,” he explains. “We can speak to someone on a one-to-one level. We can go beyond printing someone’s first name, we can regionalize it.” For example, World Vision would customize the information presented to donors down to the child, his or her community and the specific initiative of that community (such as clean drinking water) versus presenting more generic information from the charity. Carroll suggests involving these partners early on in the process when the organization is still considering its potential. That way, you can leverage their expertise while it can make a true difference and collaborate on a level that will allow the vision to unfold organically. Marketers are discovering the rewards of merging digital with physical experiences. Gain insight into how audiences respond to this convergence, and how one entrepreneur created a unique opportunity to build brand affinity for his clients by recognizing the value of both digital and physical product.